Documentation in the classroom can be time consuming and take away from priority number one - spending time with the children. Paper templates, hand-written notes and photos with digital cameras are all inefficient processes that are impacting your ability to aid children with development and effectively communicate information to parents. HiMama has transformed frustrating observation processes into a super easy and fun method of documentation using tablets. Select the child being observed, import the activity details directly from your lesson plan and submit. 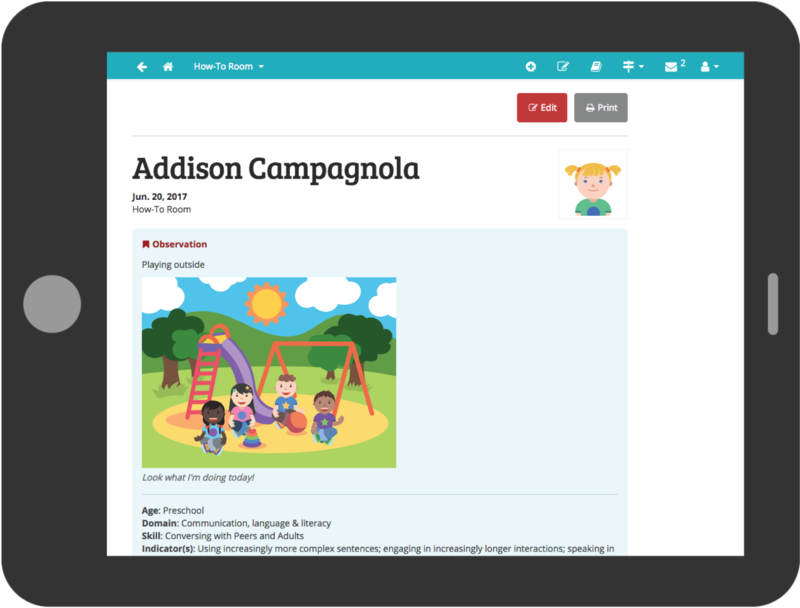 The magic happens in the background; observations are sent to parents in real-time and are also automatically added to a child’s development assessment that can be used for reflection and parent-teacher meetings. and reflecting - with ease - in your own programs.